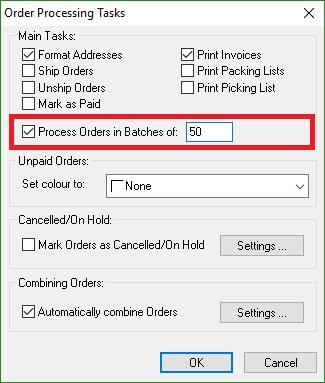 The following guide will explain how to process orders in batches when importing within One Stop Order Processing. 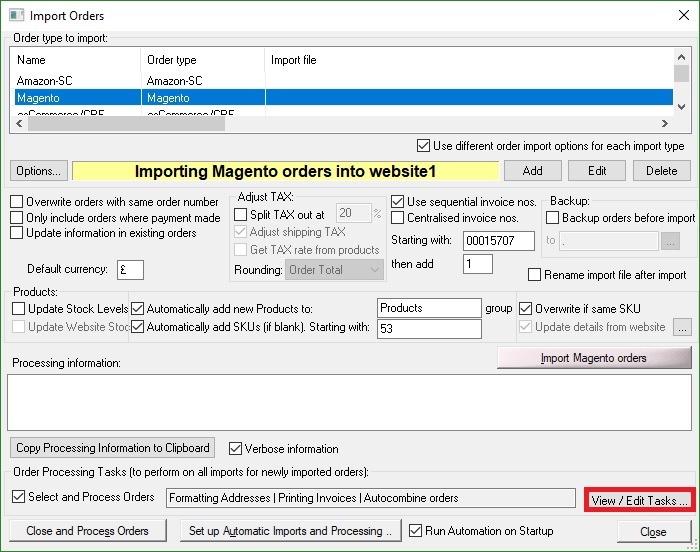 For a full video tutorial on how to process orders in batches when importing within One Stop Order Processing click here. From version 38 onwards One Stop Order Processing will now allow you to process your orders in batches upon importing. As a default this is set to 1000 however this can be altered to however many orders you would like to include in a batch. You may wish to use this if you, for example, you would like a picking list produced after every 50 orders. The following instructions explain how you can set up this feature. 3. Input the number of orders you would like to be included in each batch into the 'Process Orders in Batches of:' box. For Example, 50.